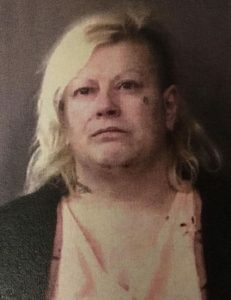 KOSCIUSKO — A jury trial has been scheduled for an Akron woman who faces several charges after officers discovered drugs in her vehicle. Jodean Marie Neher, 7342 W. CR 1150S, Akron, was scheduled to be sentenced today, May 21, in Kosciusko Circuit Court. However, she changed her plea to not guilty and requested a new public attorney in the case. Scott Reust was the representing attorney for Neher in her case. According to Neher, Reust’s presence was requested by her on several occasions with no response. “I know he’s a good attorney, but he’s not for me,” Neher said. Reust stated that Neher has been extremely respectful with him. Judge Michael Reed stated that a new public defender would be assigned in the case. According to the affidavit of probable cause, on June 3, 2017, officers discovered two glass smoking devices, marijuana, methamphetamine and hydrocodone in her vehicle. She currently faces two charges of dealing in methamphetamine; two charges of possession of methamphetamine; two charges of possession of a narcotic drug; two charges of possession of marijuana; and driving while suspended. The trial for Neher is scheduled for 8:30 a.m. Aug. 7. It is anticipated to be a two day trial.